Since 2015, Android developers have been building and growing great apps for cars. Drivers are benefiting from thoughtfully designed apps that provide safe and seamless connected experiences, whether they drive one of many Android Auto compatible cars or use the Android Auto app on their phones. Today, thousands of apps for Android Auto are available through the Google Play Store for millions of drivers in over 30 countries around the world. And because the Google Assistant is available on Android Auto, developers are able to build voice-powered experiences on their apps that let drivers get things done while keeping their eyes on the road. 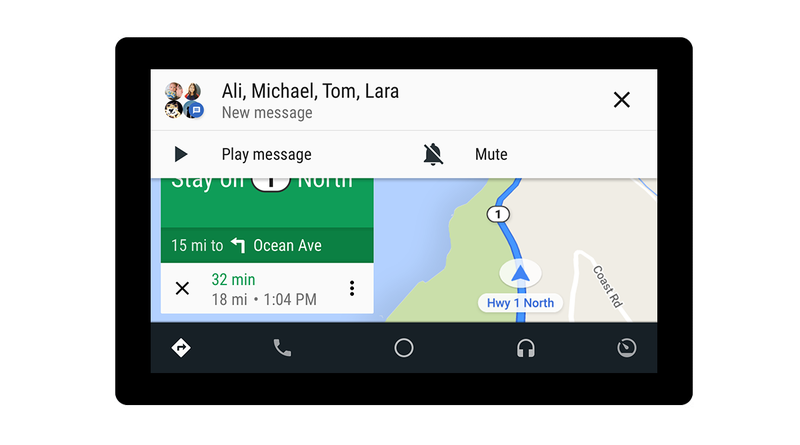 But it doesn't end there -- great driving apps will soon reach beyond Android Auto users. Last year, carmakers Volvo Cars and Audi announced the development of new connected cars powered by Android. As an important next step, we are now working with Volvo Cars to bring the Play Store and the Google Assistant directly into their next-generation cars, along with Google Maps. The opportunities for developers are endless -- their apps are able to reach millions of Android Auto users today, and drivers of Android-powered cars in the future. This week at Google I/O, we are sharing some updates that help developers build an even better in-car experience and become a part of the evolving ecosystem. We will be demonstrating those changes in our Sandbox by collaborating with several app developers, including iHeartRadio, Pandora, Pocket Casts, Spotify, Telegram, WhatsApp as well as Google's own apps (including Android Messages, Play Books and Play Music). First, a fresh new design enables media apps to make their content more accessible through new visual templates. For example, browsable content is placed front and center as soon as you open up an app, enabling you to easily recognize and quickly start listening to songs and podcasts. 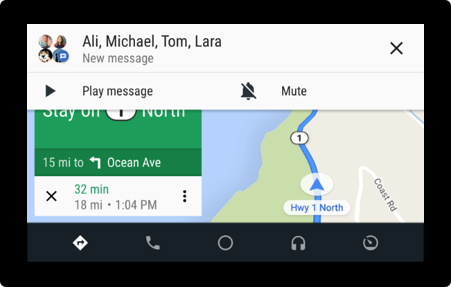 Second, new search capabilities allow media apps to directly integrate their results into Android Auto. This allows drivers to quickly discover tracks that are related to what they're currently listening to, such as a song's live version, or a song with the same name from a different artist. Finally, we now support group messaging and RCS. Using the Google Assistant, you can easily communicate with a group of friends while keeping your hands on the wheel. If you're attending I/O, come check out the Automotive session at Google I/O on May 9 at 9:30am PST. We will also be displaying three cars in the Sandbox area that showcase different integrations in real life, including a preview of Volvo's future infotainment system displayed in the current XC40. If you're not at I/O, you can still catch the livestream of the session. Developers can also sign up to learn more about the media and messaging updates as we release more information.